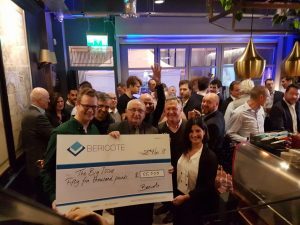 Bericote celebrated opening our new London office last week at Tottenham Mews. As part of our celebration, we pledged to donate £1,000 to the Big Issue for every guest who attended. This led to the final sum of £55,000 to be donated. The founder of this charity, Lord John Bird, came along to receive the donation and gave a speech on how their journey started and the impact this money will have on the charity.